You are here: Home / Tech Tips / Matching the Colors in Your Logo! Matching the Colors in Your Logo! I’ve written a blog on how to match colors in your logo, but I got a question from a client yesterday that reminded me of something. As a business owner, you should be aware of your brand’s colors and you will want to use them if you’re doing a quick design in Canva, or if you’re purchasing Ad development from someone. Just a note here: if you haven’t read any articles about the psychology of colors that you use on your website, you may want to check those out as well – I find them fascinating! As an example, when we used to do announcements for training classes in the VA, we were doing an announcement and we sent it to the faculty person to review, and that faculty member was a psychologist. We had made the title of the training class in red, because it’s striking and it looked pretty – and the psychologist told us that the red was confrontational and the title should be in a cool color that was more relaxing and inviting. That was when I started researching colors in graphics. If you have purchased logo development or website development – ask that developer for the elements of that logo or website. This would include the hex colors that they used, along with the fonts used in your logo. While you can find the hex color codes via this website tool the colors may vary slightly. It’s much more efficient to ask the developer of your logo to include colors and fonts used when they deliver your product! In the absence of that — just make one for yourself – and store it in One Note, or some other electronic product where you keep notes. If you always want to have it with you – take a picture of the notes page – and store it in your photos as well. 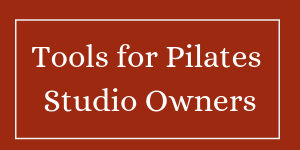 Here’s one of my pages from One Note for Rivercity Pilates, the Pilates Studio I attend. This one has some tricky purple shades that I really struggled with until I discovered the web tool mentioned above. Hope this helps you! I save the colors just like this – and they’re handy when I need them! Previous Post: « What’s the fuss about Instagram stories?